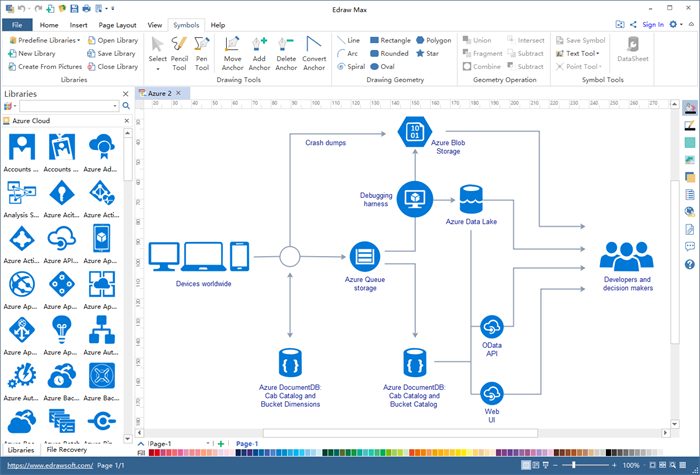 Easy Azure diagram software contains standardized Azure icons and pre-start templates which benefit for creating professional Azure architecture diagrams with high efficiency. Microsoft Azure, used to be named as Windows Azure, is a cloud-based computing platform offered by Microsoft. It provides cloud computing services of building, structuring, disposing, storing, and managing applications by global networking data center for developers, programmers and IT specialists. 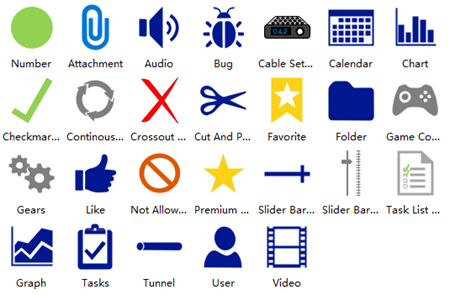 Azure diagram software offers you the full set of Azure basic icons and an easy-to-operate drawing platform. For developers and architecture designers, Edraw enables you to layout the Azure cloud infrastructure rapidly without any designing skills required. There are various advanced functions which will benefit to draw a standard Azure diagram, containing Lasso select tool, auto spacing and alignment, zooming, and geometry operations etc. When you end your work, cloud will offer you a great option to share with your colleagues to reach team collaboration. Besides, most common formats can be exported to meet your requirement in one click. Thousands of differet type icons are included in libraries. 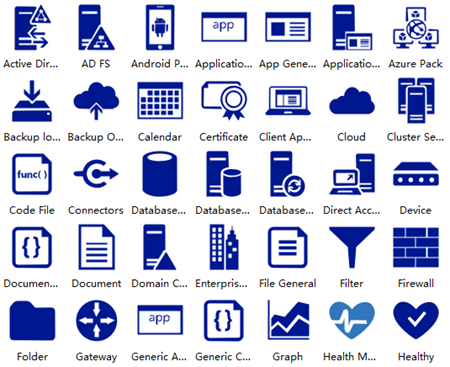 And the following presents an overview of the Azure icons libraries which are comprehensive and standard. 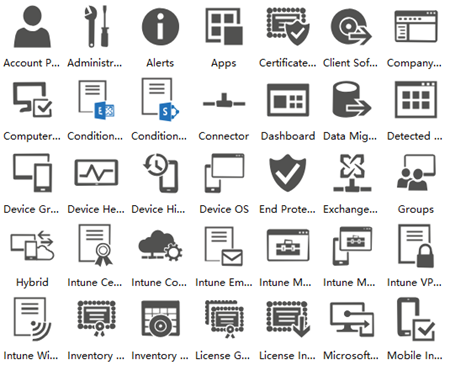 Those icons are divided into 8 different categories - cloud, deprecated, enterprise, general symbols, intune, MS Product, system center, VMs by function included. All icons are vector which can be adjusted and modified without distortion situation. 1. It is a cross-platform software which adapts Mac, Windows and Linux systems perfectly. 2. It supports WYSIWYG printing. 3. 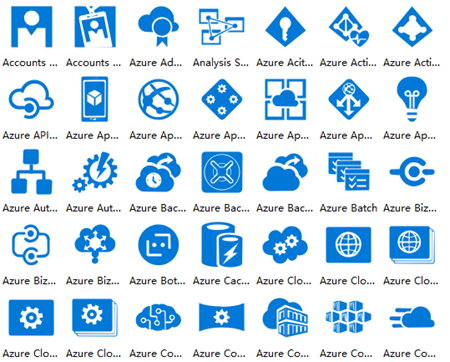 It offers standardized and high-quality Azure icons. 4. It has functions of "drag and drop", "Lasso select tool, "zooming", "geometry operations", and "auto alignment and spacing", etc. 5. It provides pre-made templates to get started handily. 6. Easy to export what you design to PNG, PDF, JPEG, SVG, Visio, MS Word, PPT, Html, etc. 7. It has free cloud space for saving files and cooperating with team members. 9. Support adding unlimited pictures, notes, hyperlinks, and attachments. 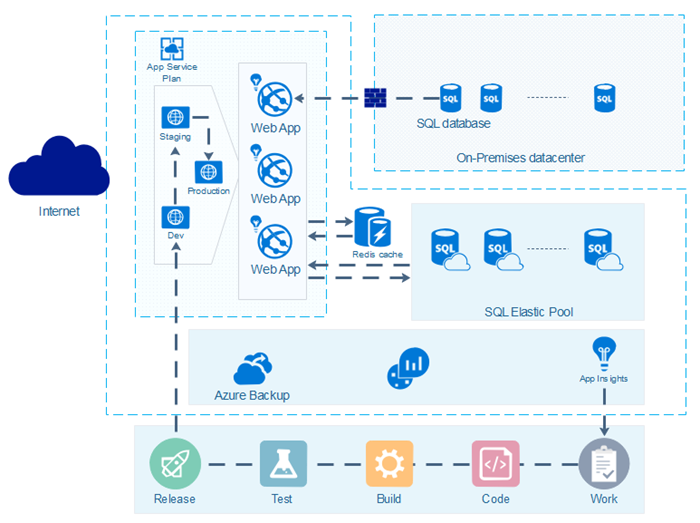 Below are two Azure diagram templates for better understanding of Azure diagrams. Both can be used as quick starting templates for learners. 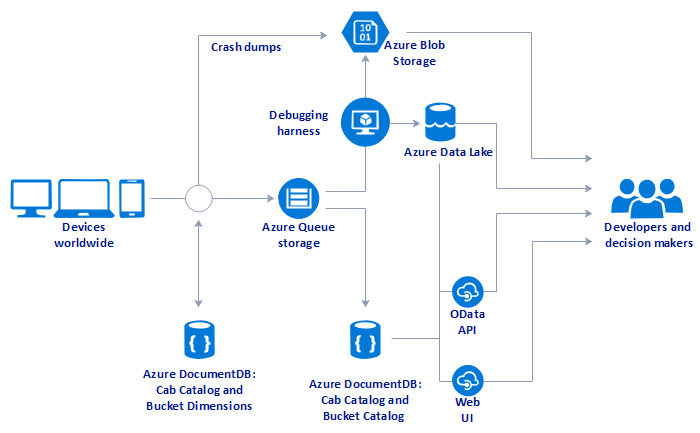 The Azure infrastructure diagram is used to illustrating Microsoft Azure working process. Use this Edraw Max to design an intuitive studio team services diagram.